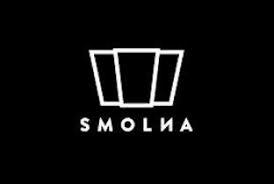 Smolna is a club located in the heart of Warsaw and situated in a beautiful prewar tenement house on Smolna 38 Street. The building was constructed in 1903 by a great architect Bronisław Brochwicz-Rogóyski for Braniccy, a Polish aristocratic family. During the World War II this tenement house was almost completely destroyed. After the war its top floors were rebuilt and its undergrounds still have visible marks of Warsaw Uprising. Smolna occupies a total arena of 1300 m2 and consists of two dance floors, chill out room, three opened bars and a patio (which is an additional open-air dance floor). At the weekends club is filled with electronic music — house, tech house, deep house, techno — and also alternative and experimental music. Every week club is visited by the biggest acts of Polish and international club scene. Events held at Smolna are organized in partnership with famous promoters, music labels and collectives. Since may 2017, there is a new floor opened in Smolna, called Patio. It is an open-air garden located in a very center of the city, which allows clubbers to feel like they are being taken to a different reality.